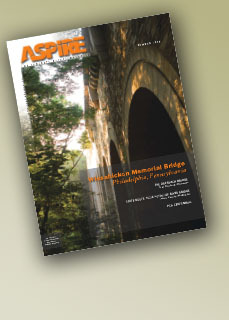 Modjeski and Masters builds its expertise with concrete bridges through continuing innovations and making its first acquistion in 123 years..
A bridge springs forth from nature. Successful bridge replacement in Washington State using prestressed, lightweight concrete girder superstructure. PA century of influencing infrastructure in the United States.